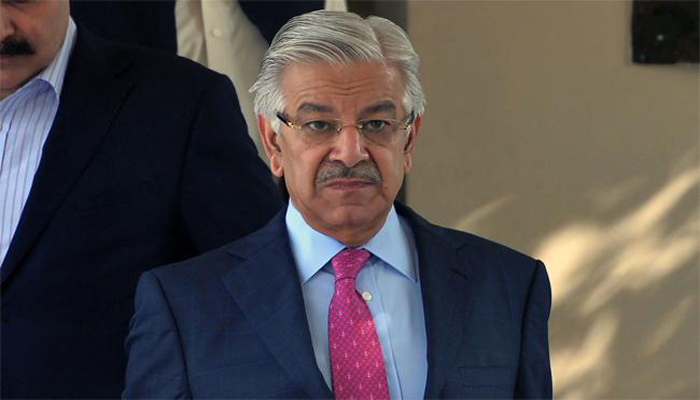 ISLAMABAD: The Supreme Court (SC) has declared that Article 62 (1)(f) cannot be applied to every omission or non-disclosure of assets, as it announced the detailed judgement in the Khawaja Asif disqualification case on Friday. “In our view attributing dishonesty to every omission to disclose an asset and disqualify a member for life could never have been the intention of the Parliament while incorporating Article 62 (1)(f) in the Constitution. All non-disclosures of assets cannot be looked at with the same eye,” said the detailed verdict written by Justice Faisal Arab. The Islamabad High Court (IHC) had disqualified former foreign minister Khawaja Asif for life on account of non-disclosure of his assets in nomination papers. However, a three-judge SC bench headed by Justice Umar Ata Bandial and comprising Justice Faisal Arab and Justice Sajjad Ali Shah set aside the high court verdict. In the 21-page verdict, Justice Arab said that no set formula can be fixed with regard to every omission to list an asset in the nomination paper and make a declaration of dishonesty and impose the penalty of lifetime disqualification. The verdict further says that unless dishonesty is established in appropriate judicial proceedings, Article 62 (1)(f) of the Constitution cannot be invoked to disqualify an elected member for life. The court also said that intervention through a writ, in the nature of quo warranto, by superior courts in financial matters against an elected member can only be justified when non-disclosure of an asset is meant to conceal wrongdoing. “As law does not envisage that every rejection of nomination paper on account of non-disclosure of an asset would lead to disqualification under Article 62 (1) (f) of the Constitution, therefore unless some wrongdoings associated with an undeclared asset is established the outcome of the case would not culminate into disqualification for life,” adds the verdict. Hence, the court said that Asif cannot be labelled dishonest for omitting to declare such a small amount under Article 62 (1)(f) of the Constitution. The detailed judgement added that if the Pakistan Muslim League-Nawaz (PML-N) leader had rendered legal advice on phone, Pakistan Tehreek-e-Insaf (PTI) candidate Usman Dar has failed to demonstrate that the petitioner or any of his family members own any shares in the foreign company which has financial dealings with the Federation of Pakistan and their competing financial interests have undermined the impartiality of the petitioner by leaking any information to the said company or unduly benefited it in any manner that falls within the ambit of conflict of interest. “It has also not been established that the petitioner, by using his official position, was instrumental in extracting some undue benefit from the federal government in favour of the UAE Company,” says the verdict. The judgement says that Black’s Law Dictionary defines conflict of interest as “a real or seeming incompatibility between one’s private interest and one’s public or fiduciary duties.” To serve personal interest means to give “preferential treatment” by using one’s official privileges or misusing confidential information to benefit someone else or one’s own interests. There are numerous examples that come to mind which can reflect the essence of a conflict of interest situations such as the prospect of personally gaining financial benefits subject to an approval of a project, introducing policy that are friendly to one’s private interests or lobbying to approve a friend’s tender or application just to help his interests. In the present case, there is absolutely no allegation that the petitioner received some lucrative opportunity in exchange for conferring benefits or sharing confidential information thereby abusing his public office, according to the judgement. The judgement stated that PTI leader Dar has absolutely failed to point out any decision which Asif had taken in discharge of his official duties that was likely to result in any financial or other material benefits for himself or his family or friends or any decision he took that had influenced him in the performance of his official duties. “Thus no case of conflict of interest is made out,” claims the verdict.